Man. I am so so blessed. I can't tell you guys how blown away I was on my golden anniversary of cheat death day. I couldn't get over it. It all started with the most amazing fantastic shoes. Kristen and Lindsay sent me these golden glitter vans and they couldn't have been more perfect! I love them so so much. 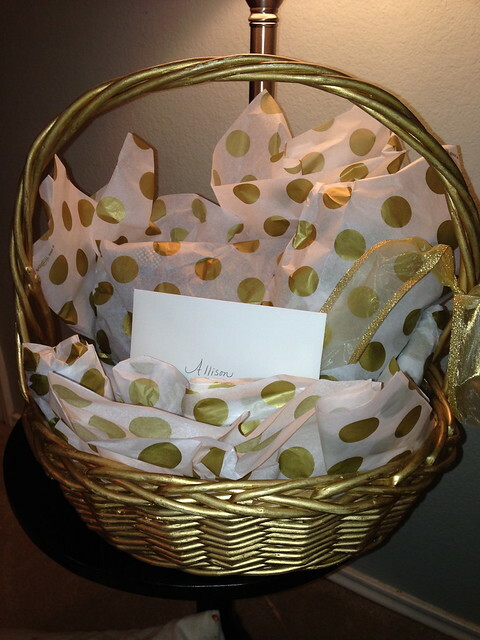 Then my amazing mother-in-law sent me this golden basket overflowing with all things gold! Unreal. My fabulous sister-in-law sent me the most pimp golden glitter cup, hair ties and beautiful gold ring! 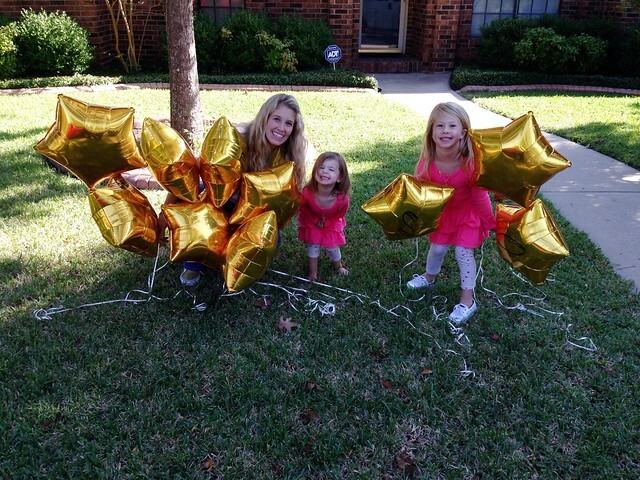 And then when we came home from church there was 10 golden balloons forked down in my yard. How fun is that?! Julie and her girls did it and we loved it so much! Stuff just kept coming, phone calls and texts. I couldn't get over it. I was so surprised and beyond grateful. 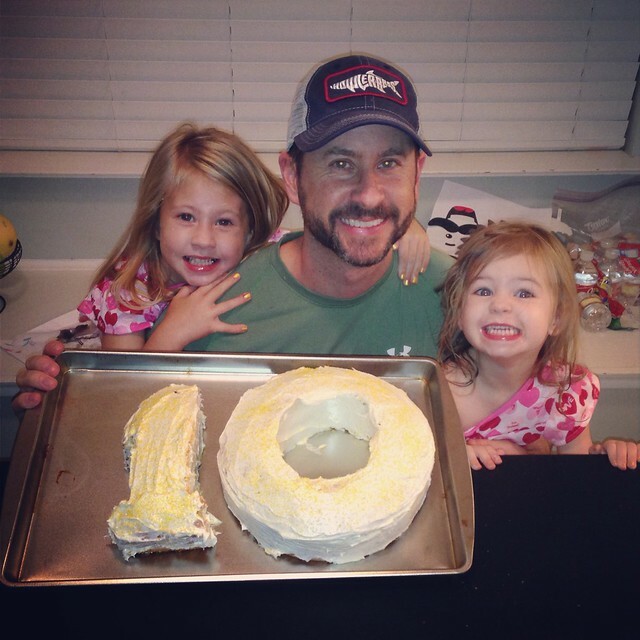 Bob and the girls made me a golden 10 cake! Bob sent me out of the house for a while so they could bake it. The second I walked in the house McKenna couldn't stop yelling Cake! Cake! Cake! She was so excited about it. I love that the girls got to be apart of celebrating this special day. Then there was the blog post that I will cherish forever. I had no idea that Bob and Kristen were working together on this. He told her to publish it at midnight the night before. His plan was to have breakfast on the table for me with the computer opened up to the blog. Too bad midnight isn't past my bedtime though. I was still up and around 12:30 I randomly clicked on the blog. I was shocked. I started crying before I even read it. Then when I actually did read it, holy cow. It was perfect. So meaningful and special and I love that I have it documented here. Thank you all who helped celebrate my day. I can't tell you how much it means to me. 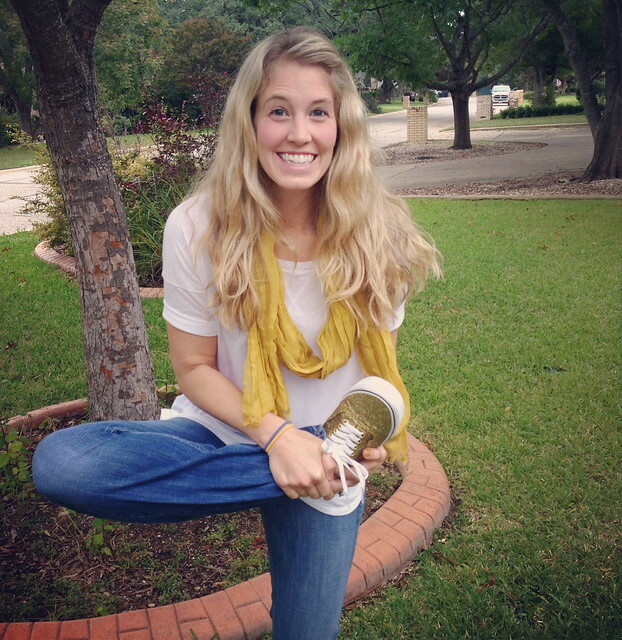 oh what a sweet way to celebrate you, Allison! !